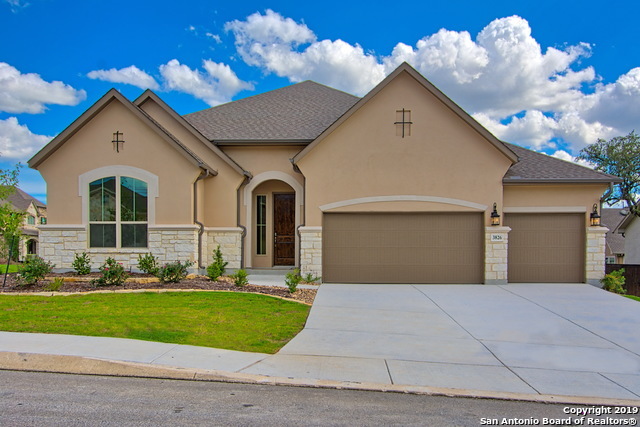 All SALADO CANYON homes currently listed for sale in San Antonio as of 04/22/2019 are shown below. You can change the search criteria at any time by pressing the 'Change Search' button below. "This floorplan boasts split bedrooms, many windows, tile floors in the main areas, and sits on a wider corner lot. With over 3,000 square feet, everything about this home feels upsized. The formal dining room and adjacent built-niche offer plenty of room for your table and china cabinet. The kitchen features a large island that welcomes conversation and is open to the generously sized great room. The extended master suite features a sitting area, walk-in spa shower and a roomy walk-in closet." "4 bdrm home with a study, game room and dining area on a .25 acre green belt, flat lot with a pool size backyard. home features stainless steel appliances including double ovens, tile wood flooring throughout the common areas on the first floor. walk-in closets in the secondary bedrooms." "Beautiful single story home with a bonus room upstairs. This home sits at the center of a cul-de-sac lot. Open floor plan with tile flooring. Stainless appliances, Granite counters. Wired for surround sound inside and out. Outdoor kitchen and large backyard for entertaining. Large shed in the back for extra storage as well as gutters, landscape lighting, sprinkler system and epoxy flooring in 3 car garage. Must SEE!! Tenant occupied until June 30th." 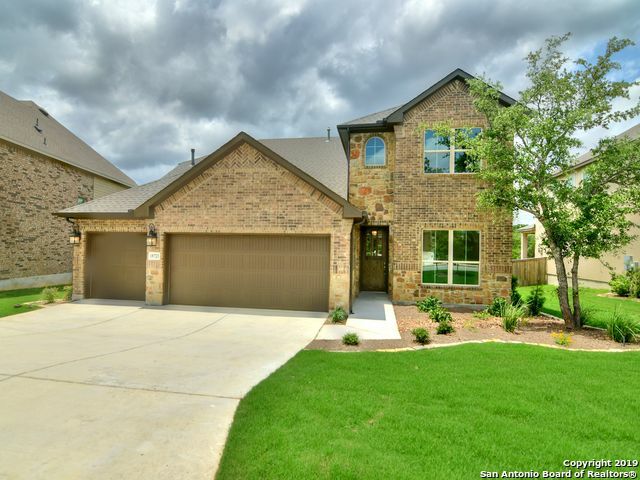 "This exclusive 2 story home sits on an oversized corner lot backing up to a lush greenbelt. This property features 4br, 3.5 ba, master down, formal dining room and office. The chef's kitchen with granite surfaces overlooks the living room with soaring 2 story ceilings and flows seamlessly to the sunroom. 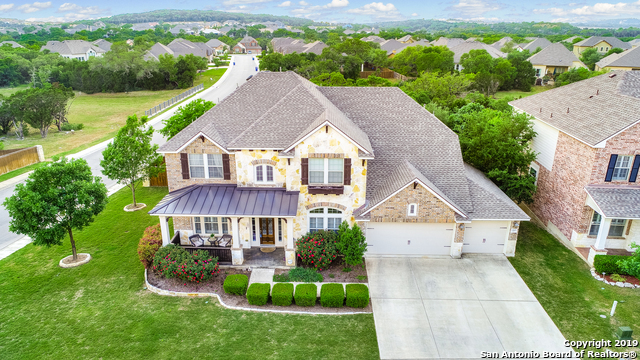 A generous gameroom upstairs, oversized 3 car garage with epoxy floors, and a covered patio with outdoor fireplace and kitchen make this home one to remember." 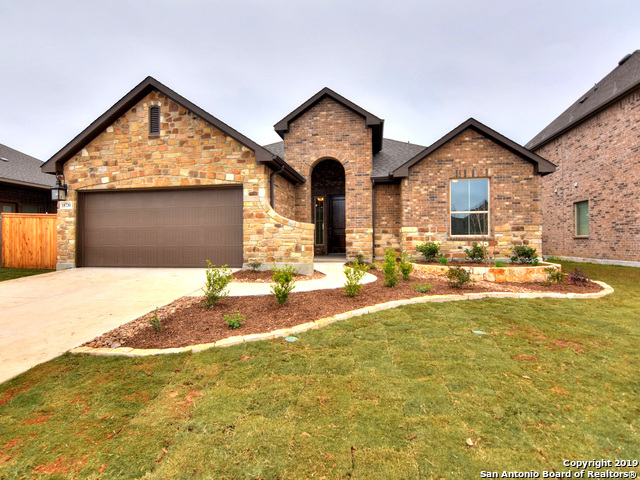 "Stone and brick masonry compliment the front of this 2468 sq. ft. home. Includes 3 bdrms 2.5 baths, a study with French doors and dining area. There are plenty of windows to allow for natural light to come into the kitchen and great room. The kitchen features stainless steels appliances with double ovens, a 5 gas burner with a wall-mounted pot filler, dishwasher and microwave. The Master is nice and spacious and separate from all the other bedrooms. The master bath has split vanities and large W"